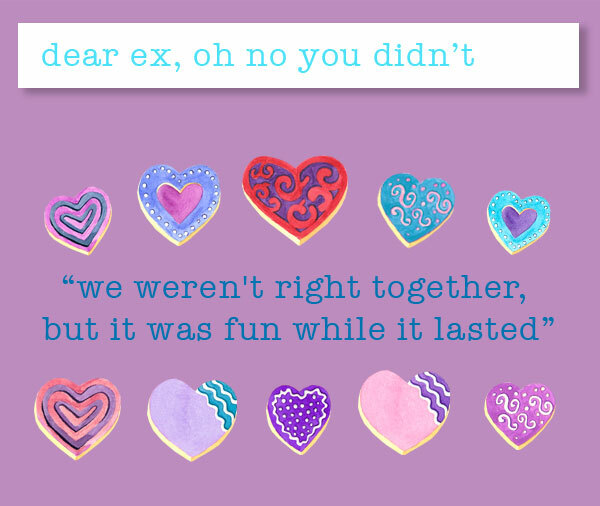 Wow this is a hard post, and although I think I could have had a lot more colorful things to say to some of my exes all of my relationships have ended for a reason. Even if things ended in heart break or worse, I'm the type of person who forgives and forgets. It's not worth holding a grudge for 8 years because your college boyfriend cheated on you. I have had some amazing relationships and amazing experiences because of these relationships. None of them have been the right fit or I wouldn't be single right now, but some day things will click.